‘Alayka ya sayyidal awwalina wal akhirin. 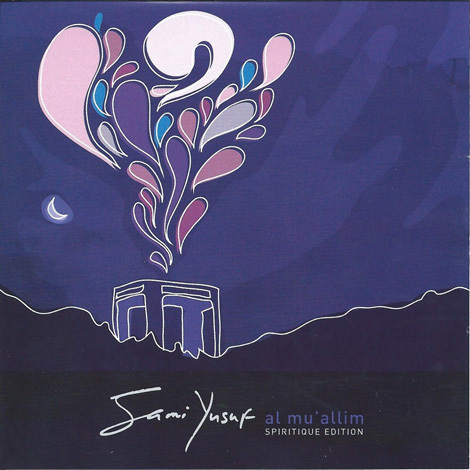 When Al Mu’allim was released in 2003 it became, quite literally, an instant HIT in and around the Muslim world spending 12 weeks at the top of the charts in both Egypt and Turkey. With its release, Spiritique (Sami Yusuf’s self-coined musical genre) was also founded. Pop singers began implementing and in some cases copying the trend, comfortably incorporating religion and faith into their repertoire – which they would have otherwise never done had it not been for the immense success of Al Mu’allim. Media, think tanks, scholars, philosophers and actors from all backgrounds could not help but acknowledge the great success Sami Yusuf’s music was enjoying in the Muslim world – particularly in the MENA region and Turkey. Al Mu’allim was a ‘breath of fresh’ air in the music world; a groundbreaking debut album that redefined the interrelationship between music and spirituality, selling over three million copies and bringing much joy to the hearts and minds of many music lovers.